I’m fast running out of words to describe Old Warden shows this year, so apologies if I repeat myself below…..
One of the few places you can see such a line up of WW1 types. 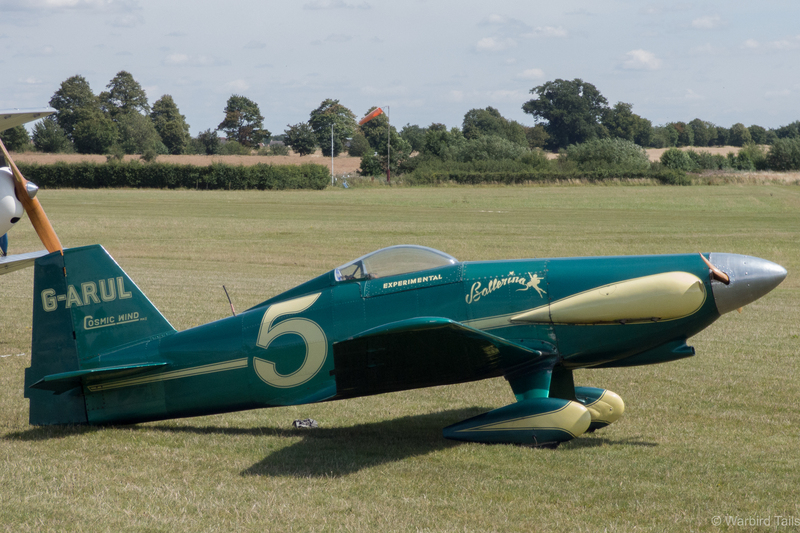 After a few days of awful weather and a high winds it was a blessing to arrive at a very sunny Old Warden, if still a little windy, on the 2nd August. 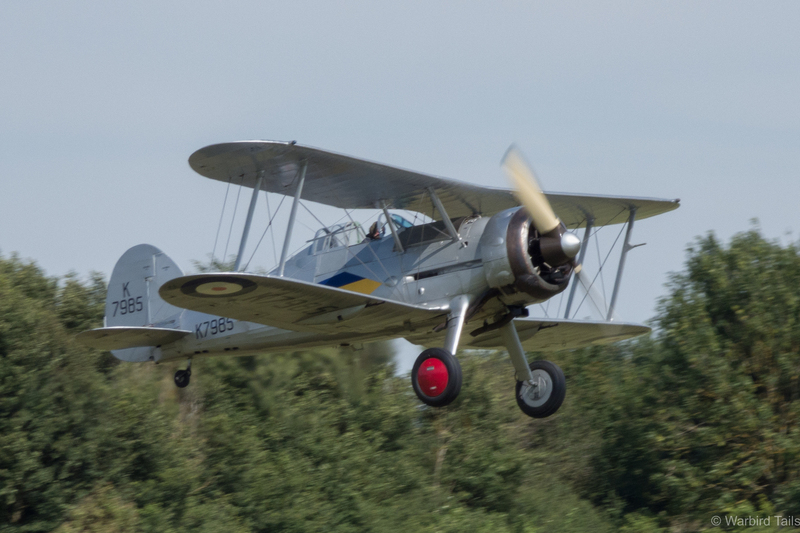 The turnout was very impressive too, certainly as busy as a show has been this year, except perhaps the Military pageant and the pull of a certain Delta winged machine. Once again though the Old Warden atmosphere was still very much in force with a very relaxed feeling throughout the airfield. The detail shown in the TVAL built WW1 scouts is astounding. Pre-show at Shuttleworth is always entertaining with plenty of ground entertainment, this being a wings and wheels show, there were plenty of visiting vintage and classic cars scattered around the airfield and of course in the vehicle parade. 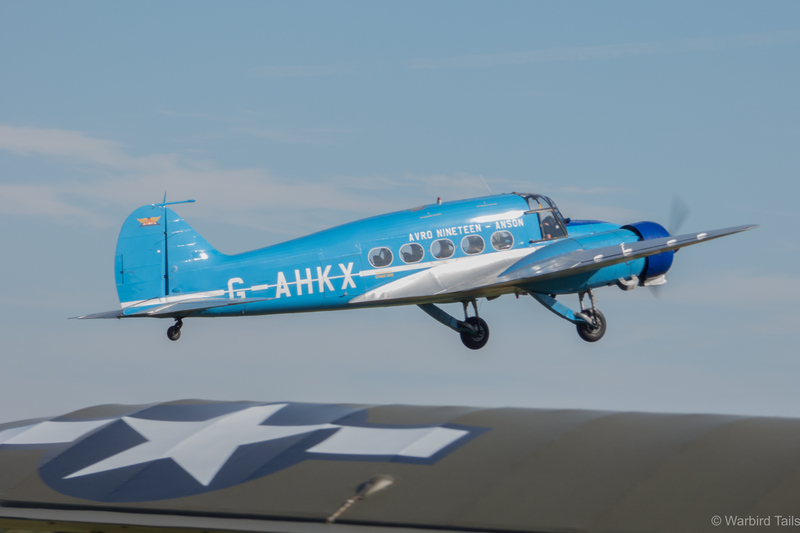 A welcome addition to the shows this year is the regular pleasure flying by the Air Atlantique Dragon Rapide before the show. I don’t think I’ve seen as many visiting aircraft on the flightine in a number of years, with a rare Saab Safir being the gem among many. 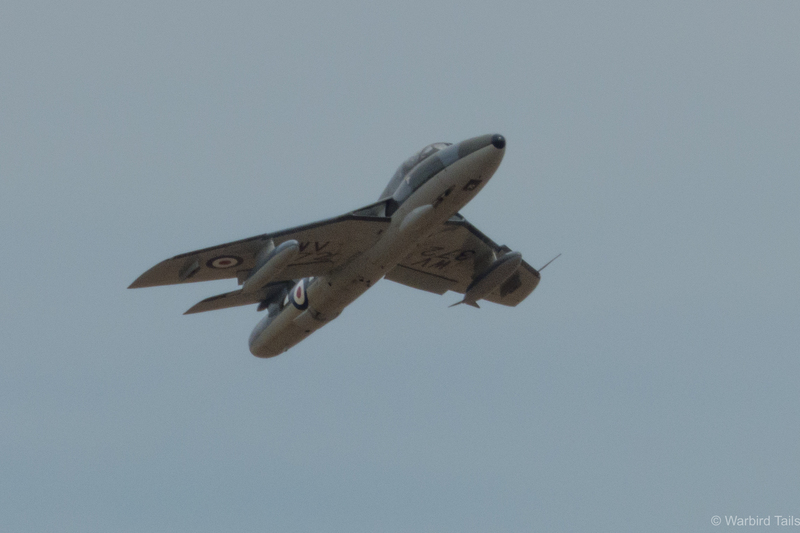 The Hunter T.7 started the show in style. 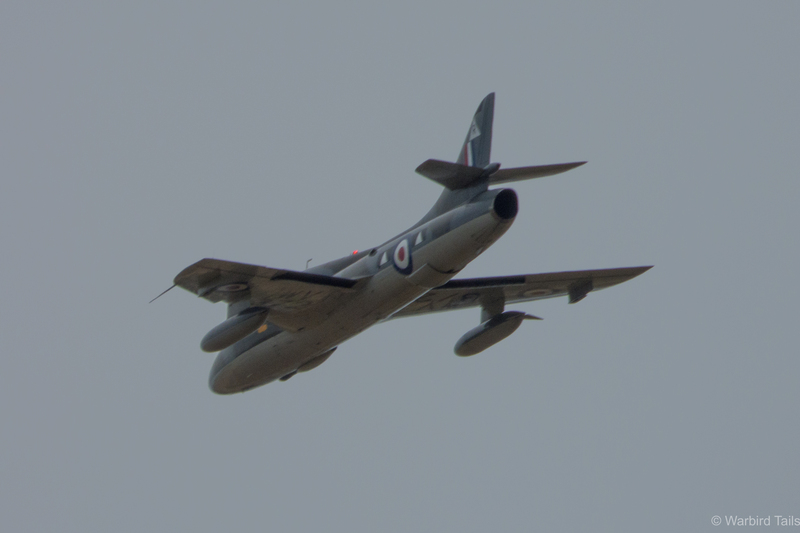 Starting the show off was a fast display from the North Weald based Hunter T.7, flown by Chris Heames. This display was especially poignant given the devastating events that befell the Gnat Display Team, of which Chris is a member, the day before. Chris put in a fantastic display showing the Hunters lower speed agility well with some incredibly tight loops thrown in. Another few of the Hunter. In a typically contrasting transition, the Hunter’s departure was followed by the distinctive sight and sound of Peter Holloway’s Storch leaping into the air. The Storch performed its usual seemingly physics defying display, which was especially effective in the gusty conditions. 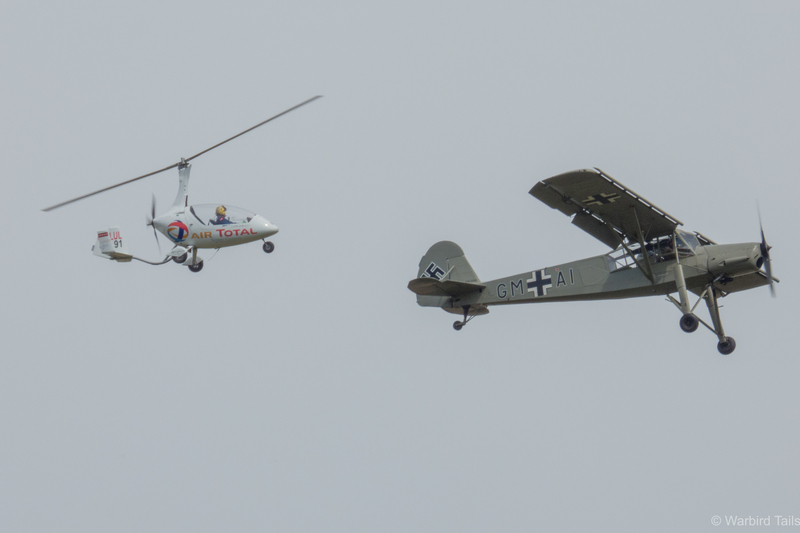 At the end of the Storch’s display was a very special moment indeed, the Auto-gyro, piloted by Peter Davies, got airborne and performed a series of passes in formation with the Storch. Both of these types were of course designed for essentially the same purpose, it made for a unique sight and sound over the Bedfordshire countryside. 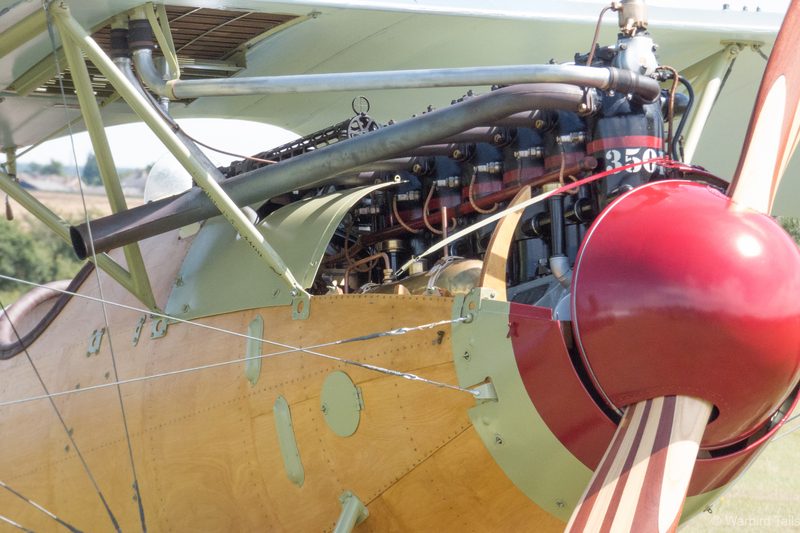 A classic Shuttleworth moment with an unexpected combination. This was followed by the Auto-gyro’s solo routine, which is truly incredible. I first saw the display at Abingdon earlier this year. Up close at Old Warden it steps up another level. Tight turns slapping rotors and a spoke system, this display has everything needed to grab, even demand your attention. Peter during his impressive solo display. 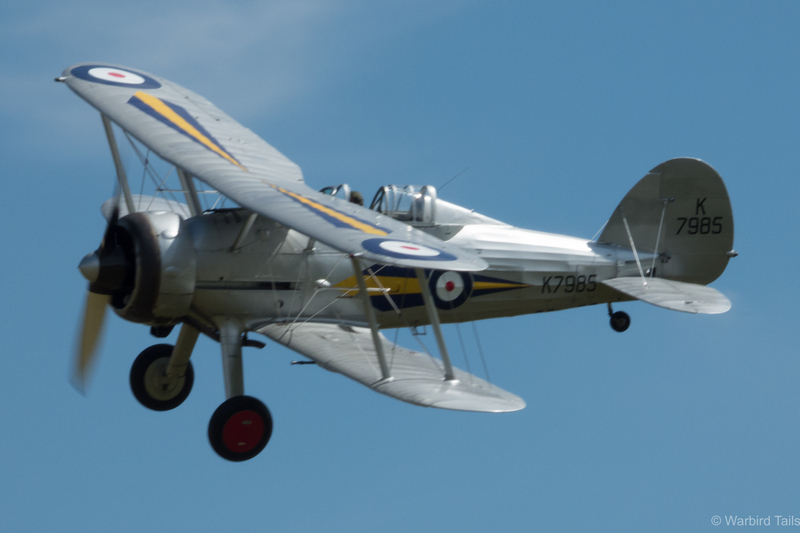 The glorious Hawker Bi-planes were up next, always a treat, no matter how many times you see them, the sound of those kestrel engines can’t really be beaten! The Demon and Hind were star performers again. 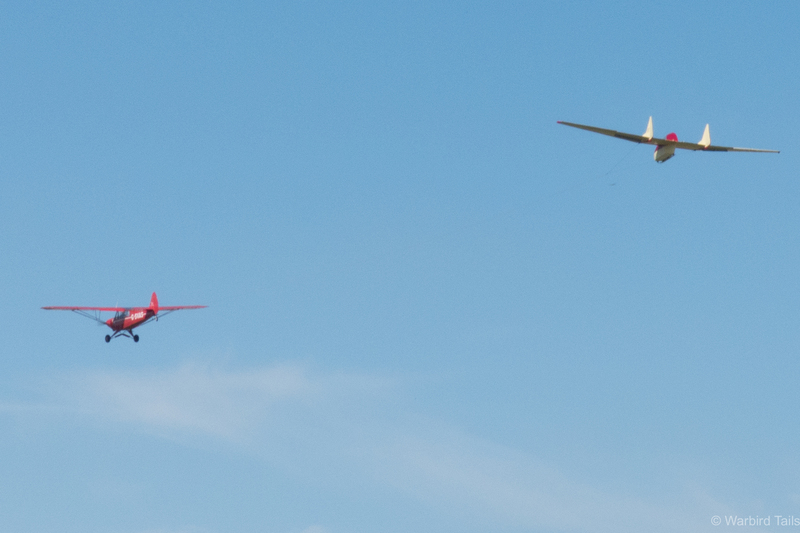 How do you follow a pair of classic Bi-Planes? With a modern twist on another as it turns out! 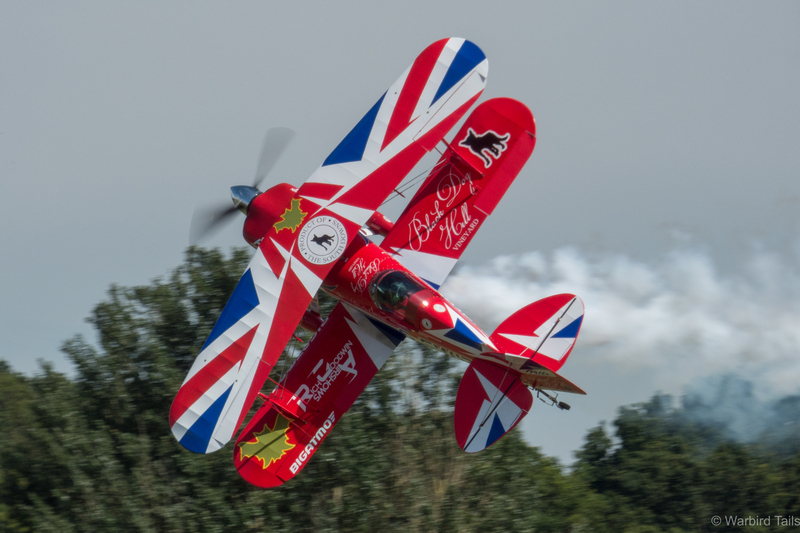 Rich Goodwin came spinning in from the overhead in a stunning display with his Muscle Bi-plane, a modified Pitts airframe. 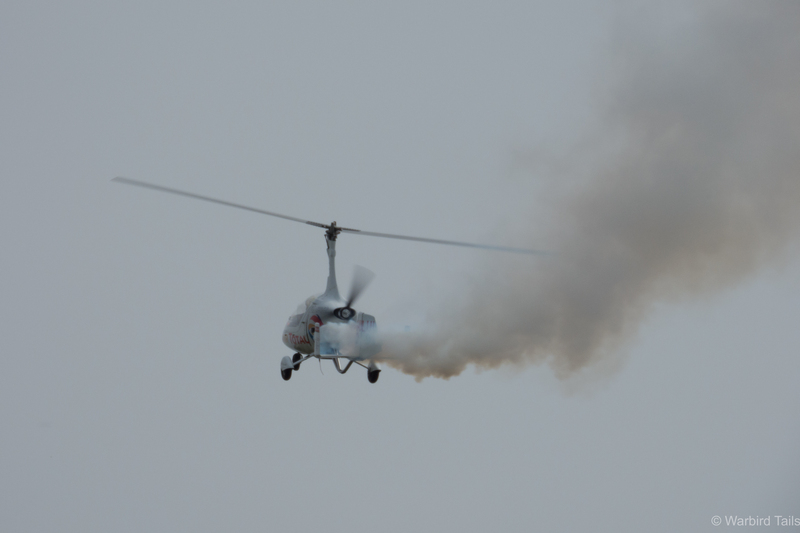 Gyroscopic manoeuvres were plentiful in this frenzy of smoke and noise! This was closed with a trademark low level knife edge pass the whole way along the crowd line, Superb! This shot pretty much sums up the wow factor that is a Rich Goodwin performance. Another trip into WW2 followed, with the pairing of Sea Hurricane and Gladiator putting in another stellar performance. 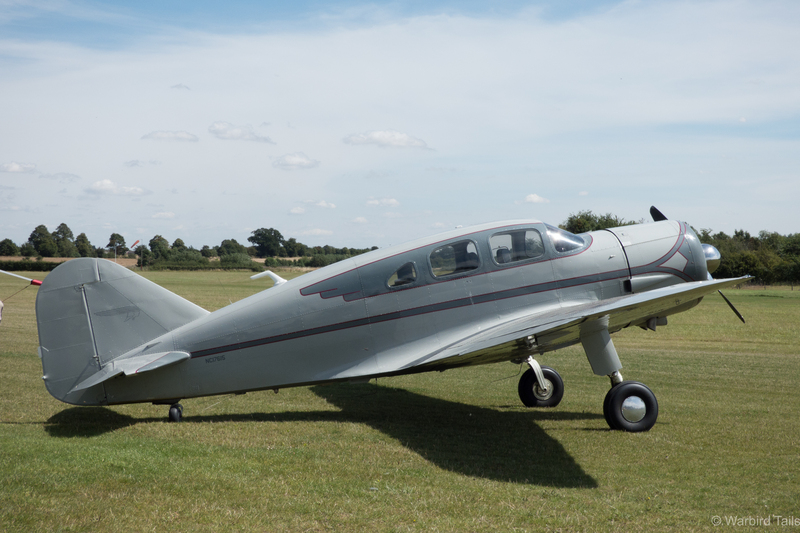 Both machines performed together and solo, the undoubted stand out was Frank Chapman’s exhilarating routine in the Gladiator with plenty of aggressive turns and a 360 pass behind the trees I shall remember for some time. Frank Chapman gets airborne ahead of a memorable routine in the Gladiator. Another shot of the Gladiator during its display. 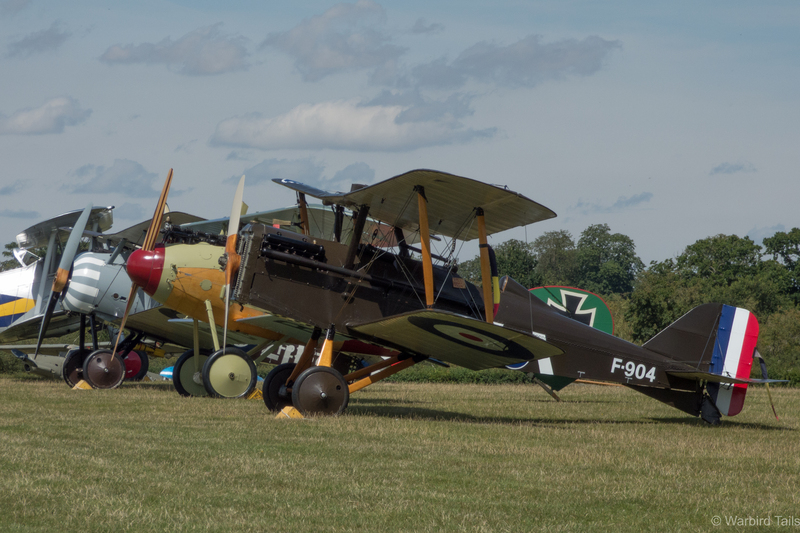 Following on from their superb debut in the darkness at the last evening display, Sunday was the expected second and possible final display of the Albatros and Snipe before they move down to Stow Maries. I was convinced that given the high gusts we were experiencing that all of the WW1 machines would stay firmly on the ground. It was a wonderful surprise then to see the Albatros jump off the crowd from behind the control tower, only to be followed by the Snipe and SE5a. 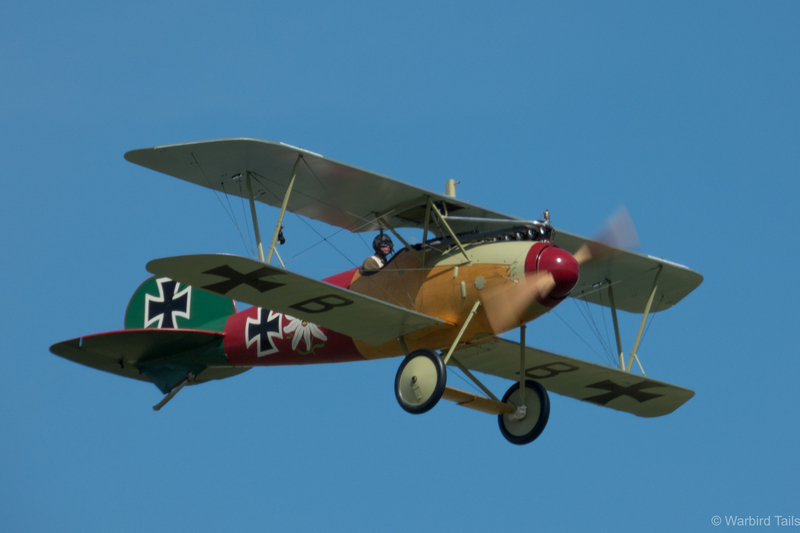 It was good to see the Albatros flying in the daytime on this occasion. 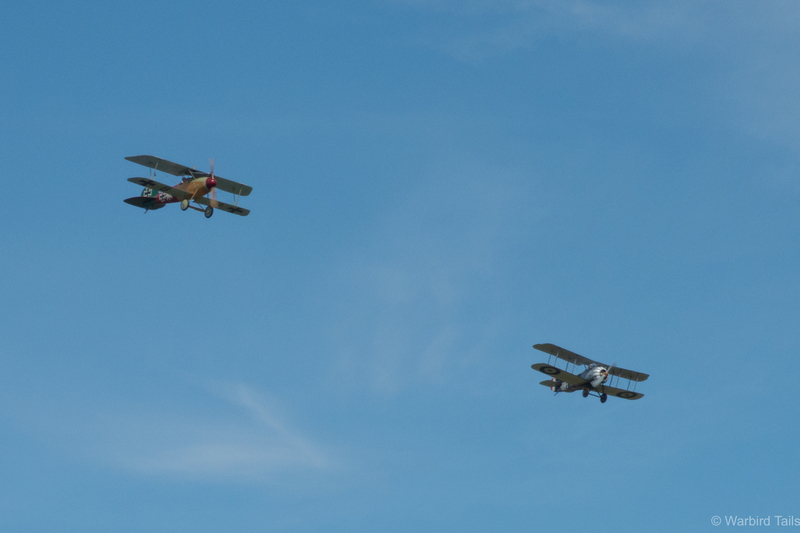 This show was the first chance to see the new arrivals flying together. All three aircraft were higher and more sedate than the previous show, though this was surely due to the wind conditions at low level. nonetheless it was great to see the Snipe and Albatros in daylight. Gene DeMarco Showing off the Snipe to the crowd. 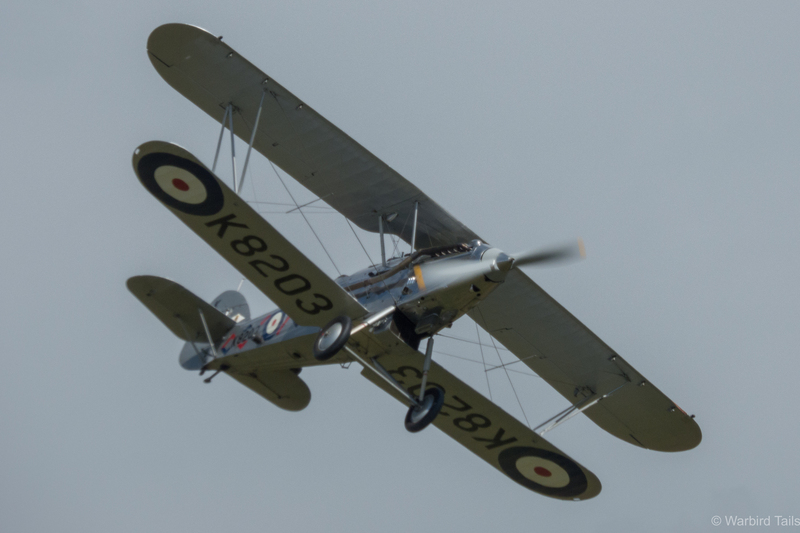 Shuttleworth’s triumph of recent times was the Race Day Airshow last October, it set the tone for the excellent themed shows we have seen on every outing this year. It was great then to see some of the star acts from that show return for Sunday’s show. Pete Kynsey mid-flow during his breathtaking display on Sunday. Starting this segment was Pete Kynsey in his Cosmic Wind Ballerina. 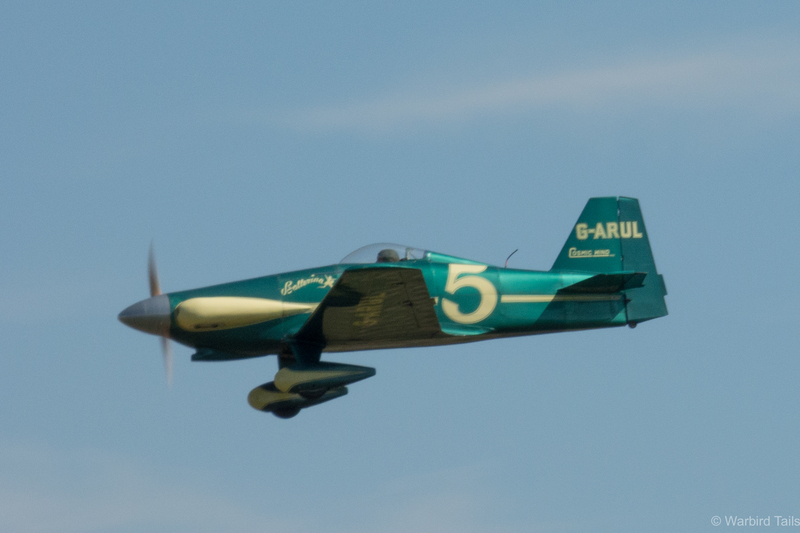 We are all used to seeing this little racer being thrown around at Duxford but rarely as close as Old Warden offers. 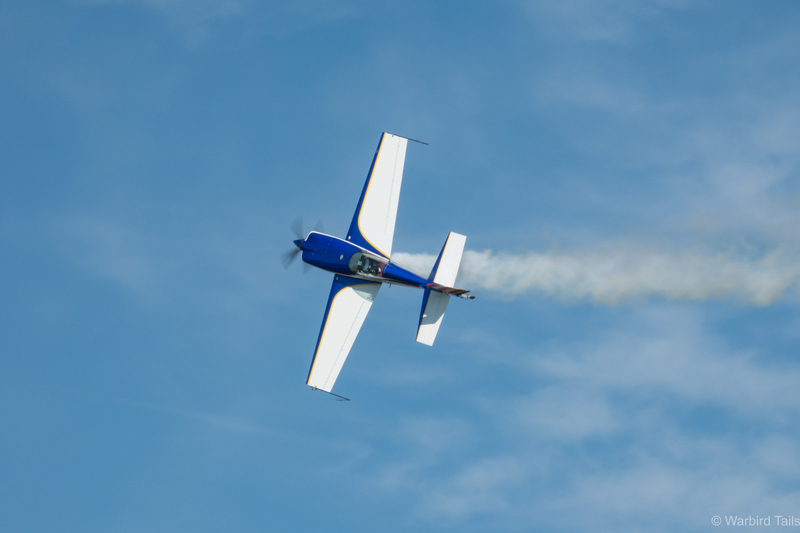 What followed was an incredible and at times indescribable sequence of aerobatics. I lost count of the rolls carried out on each pass, which in some cases verging on flick rolls, something I’ve not seen from this type before. 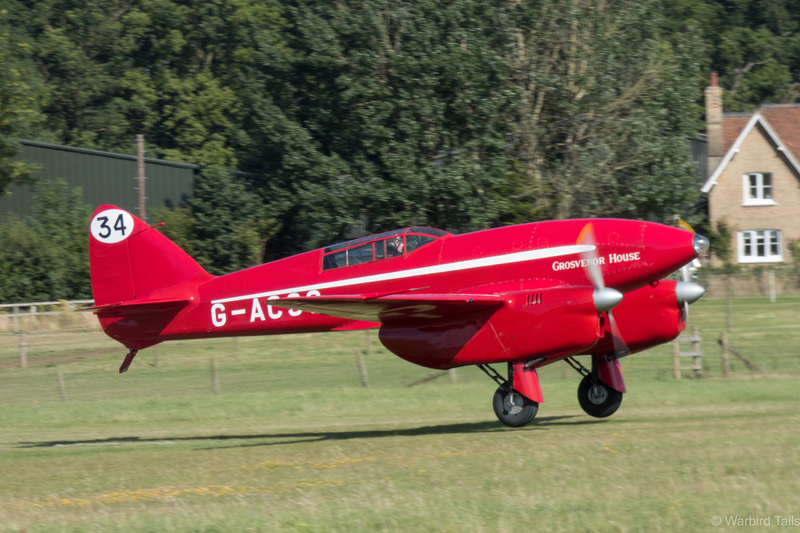 This run of aerobatics was finished in style with a few fast topsides around the Old Warden bend. This tiny aeroplane packs a big punch when it comes to spectacle! Following on from the high adrenaline of the Cosmic Wind came the return of the mock air race. 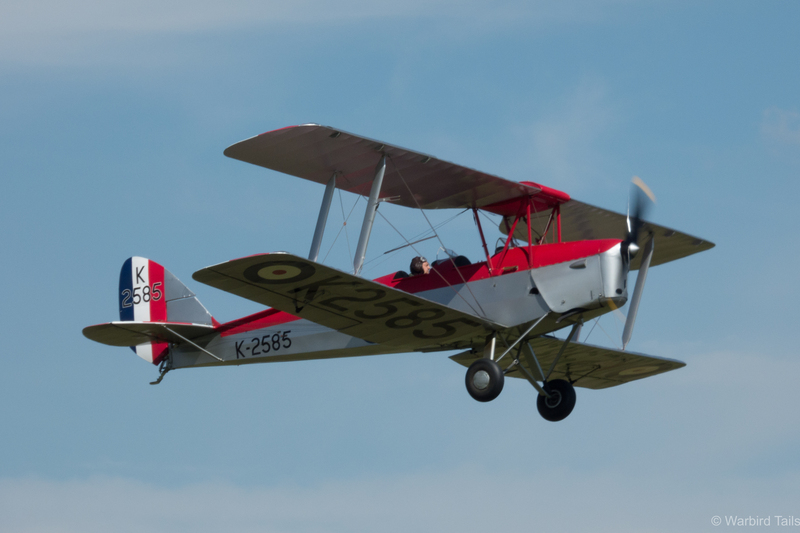 This followed the same format of last October with types raining from a DH60 Moth to the snarling Spartan executive. There was plenty of debate as to who won the race, I believe the final answer from the officials was the Miles Falcon, though if you ask me the Spartan just edged it! The Collection’s Tiger Moth gets airborne ready for the mock race. The Spartan certainly looked like it had the most fun during the air race. Then came what is fast becoming an Old Warden tradition, the pairing of the DH Comet and Percival Mew Gull, both performed a single formation pass before getting thrown around the Old Warden site in excellent style. Dodge Bailey takes off in the DH88. Glider displays came in two very distinctive shapes, first the Fauvel AV.36 flying wing put in its usual surreal display with plenty of loops, rolls and stall turns. This was followed by a short outing from the Eon Primary. The distinctive shape of the AV36 on tow behind the Super Cub. With gusty conditions the rest of the WW1 collection, not to mention the Edwardians, were unable to fly. Which meant we got to see a few different performers in their slot. After a short interlude came a welcome display from BAE System’s Avro XIX/Anson, which put on a much appreciated display in the late afternoon light. the Avro XIX gets airborne. This was followed by the ever popular Little & Large duo comprising of Extra 300S along with a 1/3 scale model flying formation aerobatics. This unique airshow act always keeps the crowd entertained and certainly has you fooled at times you’re watching two real aircraft. The full size extra was left to perform alone after the model came into engine difficulties. 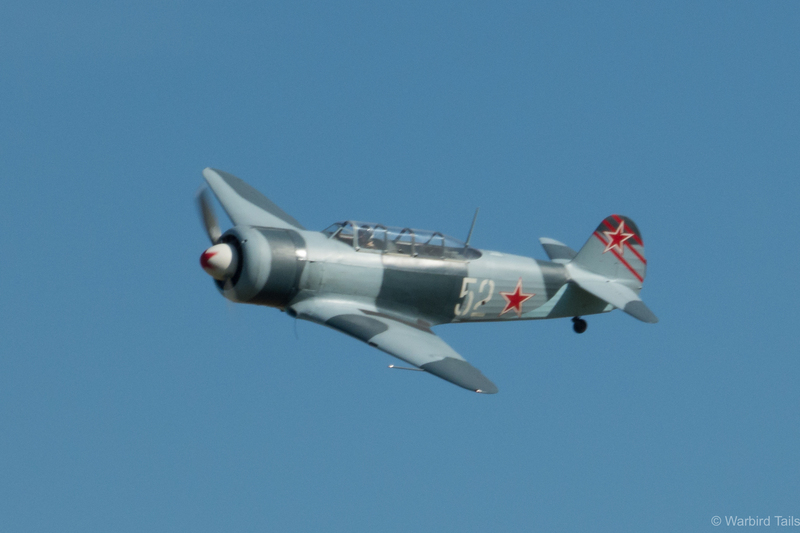 The day’s flying was rounded off by a rare appearance from the Booker based Yak 11. It is not often we get to see this Russian trainer out and about, evidently there were some issues in getting the aircraft started throughout the afternoon. Once airborne though the Yak set about performing plenty of aerobatics over the field with that distinctively Russian engine note ringing out. Perhaps the only criticism is that this display could have been brought a little closer in at the far end, it seemed very Tower-central at times, but a wonderfully flowing routine either way. 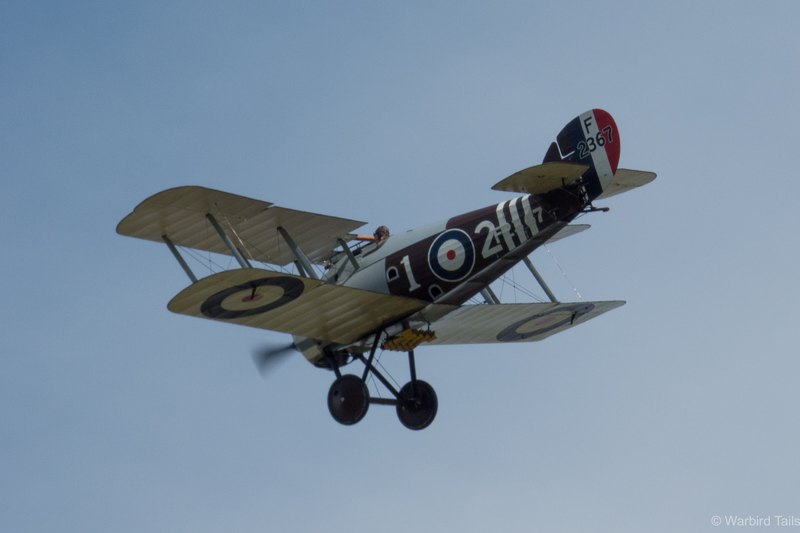 Once again, keeping up with their great work so far this year, the Shuttleworth team managed to pull off yet another superb show, two more full shows remain this year, along with the Proms, no doubt these will follow on in the impressive tradition the 2015 season has formed.